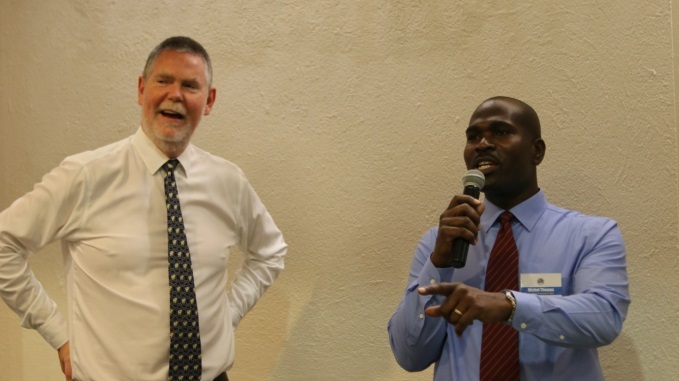 Above left: Philip N. Dearden (Head of CIDT and Workshop Facilitator) and Michel Thomas, Chairperson, Operations Officer CTCS, CDB. Photo credit: SueannTannis Corporate Communication Unit, CDB. 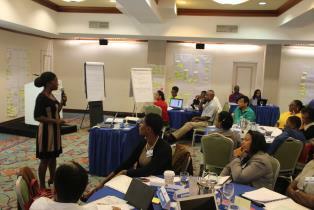 Above right: Ms Lebrechtta Nana Oye Hesse-Bayne (CIDT Associate) teaching a session on Gender and Performance Indicators. Photo credit: SueannTannis Corporate Communication Unit, CDB. 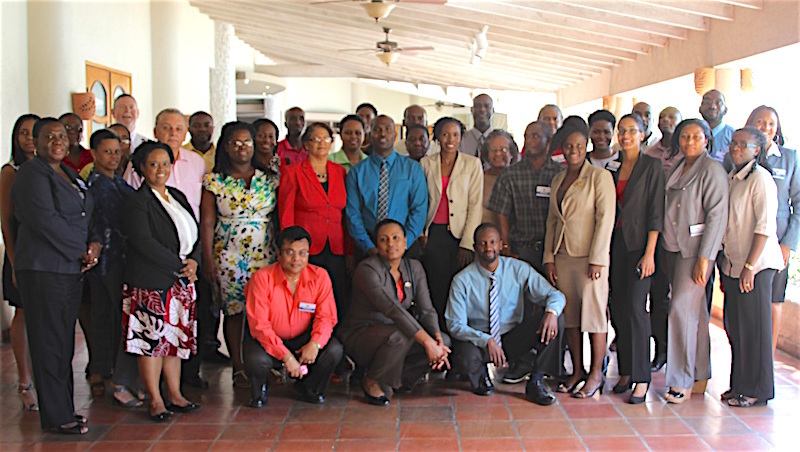 CIDT recently provided Training/Facilitator Support for a workshop on Managing for Development Results (MfDR) for the Caribbean Technological Consultancy Services (CTCS) Network’s Cooperating Institutions for the Caribbean Development Bank (CDB).